To order a cake, click the Order a Fabulous Cake button. We will contact you with a quote or to schedule a time to meet for a consultation. There is a non-refundable $45 fee for tastings. What do you want to do with the top tier (wedding cakes only)? Thank you! We will be in touch shortly with a quote. If you indicated that you would like to sample our cakes, we will either schedule a tasting or a time for you to pick up your tasting box. Have you checked out our FAQ yet? There are a lot of useful answers there. If you still have questions, please send us an email or give us a call to discuss your need for cake. 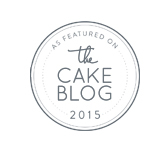 Sign up to get blog updates and exciting cake-related news delivered to your inbox! "We knew that Heidi made amazing cakes but she blew us away with [our] cake. We couldn't have asked for anything more. She exceeded our expectations. Thank you so much for such a beautiful cake that tasted just as good as it looked." "Very professional & prompt!! I got plenty of compliments on the cake. Job well done & thanks again Heidi!!! Will make sure to get you for every event that I have!" "When it comes to quality and perfection, De La Creme is it! Not only are the cakes spectacular but they also taste great. I don't have to worry about the design. I let Heidi know the theme and she makes the magic happen. This cake was definitely the talk at the venue. Thanks again for an amazing cake!" De la Creme Creative Studio operates out of a private bakery in Downtown Saint Louis. We deliver to the Greater Metropolitan Area.